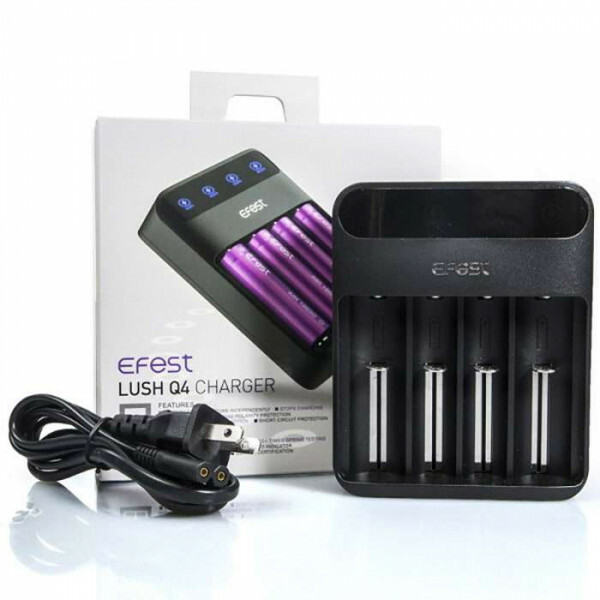 Keep on kicking clouds and uninterrupted vaping enjoyment with the Efest Lush Q4 Intelligent Led Vape Battery Chargers! 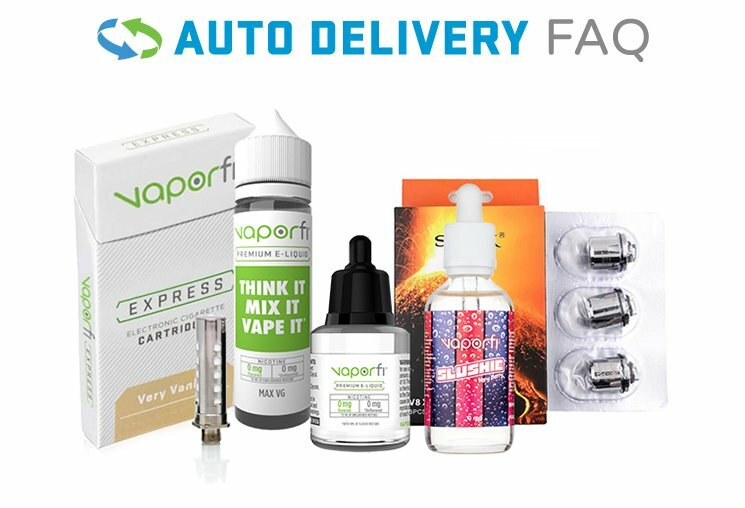 That's right, folks; never go a minute without producing plentiful plumes again knowing your beloved backups are charged and ready for your continuous vaping pleasure. 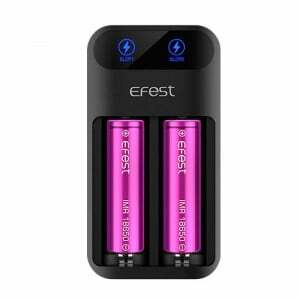 Easily capable of charging every battery capacity from 10400 to 26650, anytime you need them, the Efest charger is your one-stop battery booster complete with optional 0.5A, 1.0A and 2.0A charge modes to deliver superb power to any battery. 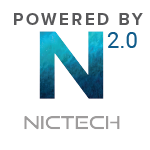 Each charge channel is equipped with a monitoring suite to ensure short circuit and reverse polarity protection, and once the device reaches 4.2 volts, charging ceases to avoid over-charge. 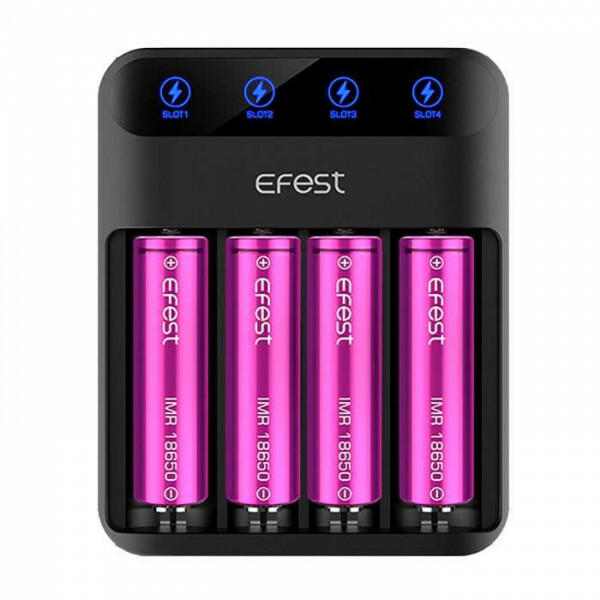 With such an option to power up your power sources both safely, efficiently and yes, intelligently, the Efest Lush Q4 Intelligent LED Vape Battery Chargers is your sure shot way to keep your vape gear up and running at all times. Be sure to get yours today!